Our evaluation services offer a useful resource by utilizing our network of providers, educators and national experts to provide independent evaluations and private consultations. We can assist each child’s current team through offering a variety of clinical, educational and functionally based assessments. This includes a review of functional vision, hearing and behavior, fine motor, gross motor/ability, speech and language, and tactile systems and skills. This evaluation process can help a family or team determine the best course of support and education needed for their child/students. 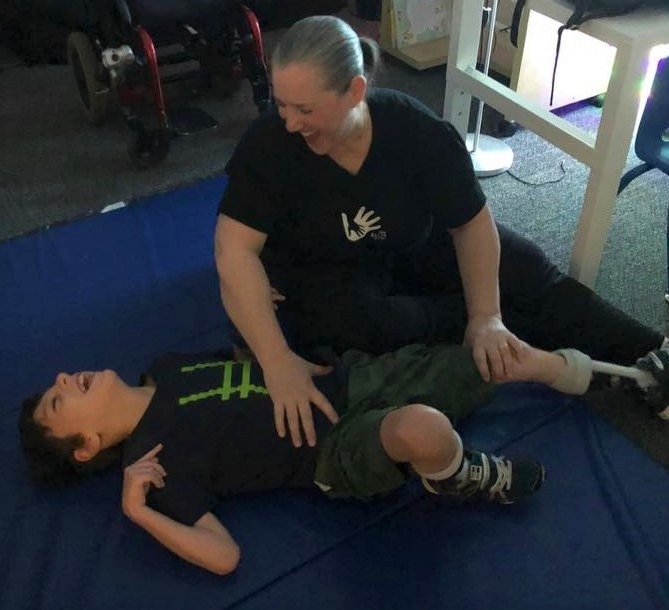 We specialize in offering assessments that may not be found at local doctor’s offices or schools in the areas of deafblindness, cortical vision impairment, and much more. These evaluations can be a tool to provide insight to assist in creating an action plan for treatment or education. Additionally, we work throughout the year to bring national experts like Kelly Dorfman, M.S., L.D.N. and Christine Roman-Lantzy, Ph.D. to work with our staff, lead workshops through our Community Education Events, and also offer private consultations to families. Please sign up for our newsletter to be in the know when these are available, as we always offer a limited number of consultations that fill up quickly. For scheduling and pricing information, please email us at info@elliscenter.org.